The dew had almost dried on the warm spring morning. After long winter hours of studying the Old Farmer’s Almanac and finding the right phase of the moon, my dad chose this Saturday in April to plant the family garden. Dad added fresh gasoline and checked the oil in the 1950s Troy-Bilt tiller. A few sputters and clinks later, the motor churned, caught and pulverized the soil. Soon, the sweet smell of fresh-turned earth permeated the country air. On the average, there are 7,000 cherries on each cherry tree; 250 cherries make one pie; each tree makes 28 pies. 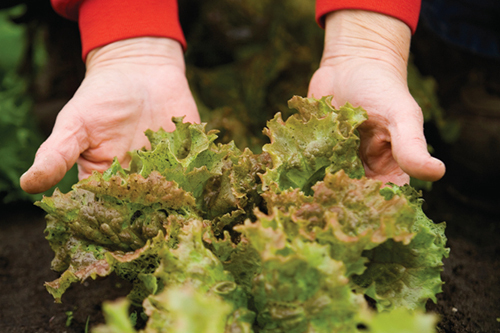 If the average U.S. consumer eats 1 pound annually, this adds up to approximately 260 million pounds annually. Americans demand cherries—and growers are filling those expectations. Often referred to as America’s Super Fruit, cherries are rising in popularity due to the recent focus on health-promoting properties of antioxidants. Instead of relying on fruits from foreign markets, health and nutrition experts advise consumers to look for American-grown fruit. 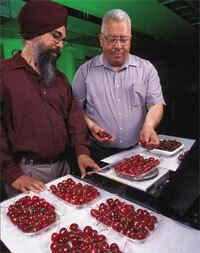 An alternative to exotic berries grown and marketed in a foreign rainforest, the cherry packs a lot of nutrition. Plus, it’s available year-round as dried, canned, frozen and in juice.